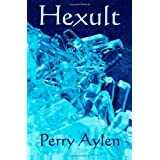 I’m far past the age for target readers of Hexult, but I enjoyed every last page of this wonderful adventure. I can just imagine kids going to their parents after reading, curious about the workings of a compass, or trying to build a magnifying glass from a chunk of clear ice. Any novel that can raise a child’s curiosity about nature and science, and inspire the need to learn, is a wonderful deal in my eyes. And if an adventure can be gained with Aulf, Ingar, Jacob and Alya in their imaginations while they do so, then so much the better. I loved the novel and plan to purchase a copy for my eleven-year-old niece. I’m afraid she can’t have mine. That one is reserved for my own adventure. 🙂 You might have to get two, like I did—one copy for you, one for the kids. I’m sure you’ll enjoy this novel as much as I did. Posted by Denna Holm on July 9, 2011 in Archives and tagged children, experiments, fantasy, five star review, science, Tower, YA.